I’ve been working on a crochet blanket for a while now, but I’m waiting on another ball of wool to arrive from Bendigo Woolen Mills before I can finish it (I ran out half way through the border – of course). In the meantime, I’ve been meaning to have a go at a crochet beanie for ages now, so I grabbed another two balls of wool from my stash (I’m quickly acquiring a nice little stash – makes me feel like a true crafter) and had a go at one. At the end of a long day, I do love to grab the hook and a ball of wool and knock out a little crochet. It’s a great way to relax and unwind. I made this using some 8 ply luxury wool from Bendigo Woolen Mill (where I get most of my wool from – they post) in Lotus and Blue Denim on a 5mm hook. I had to unravel the top part several times until I got it right. I did a loop of chain stitches, then did 8 double crochets before adding additional row by doing two double crochets into each stitch on the previous row. It only took a couple of hours while I watched a movie, so it was a quick and easy project. 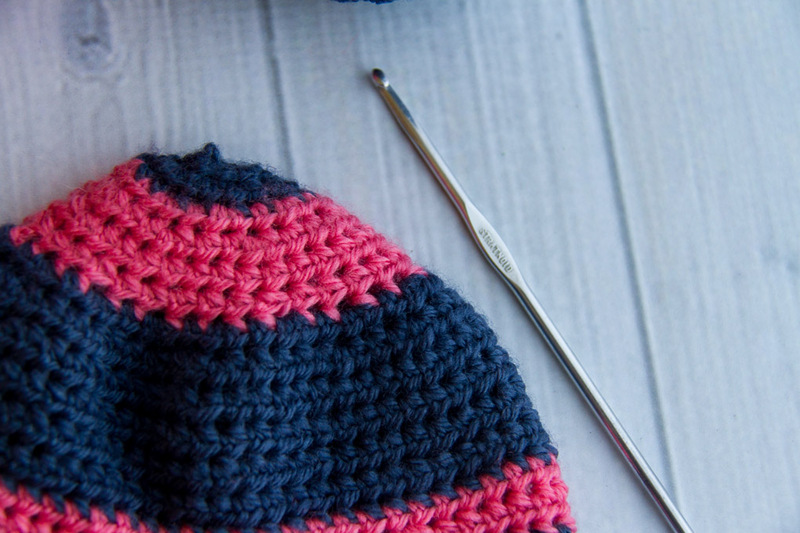 The beanie is the right size for a 6 month old, so I’m planning on giving it to my little niece, who, if she is like my children at all, will still be bald as a boiled egg this winter. Hopefully it will keep her noggin cosy warm. 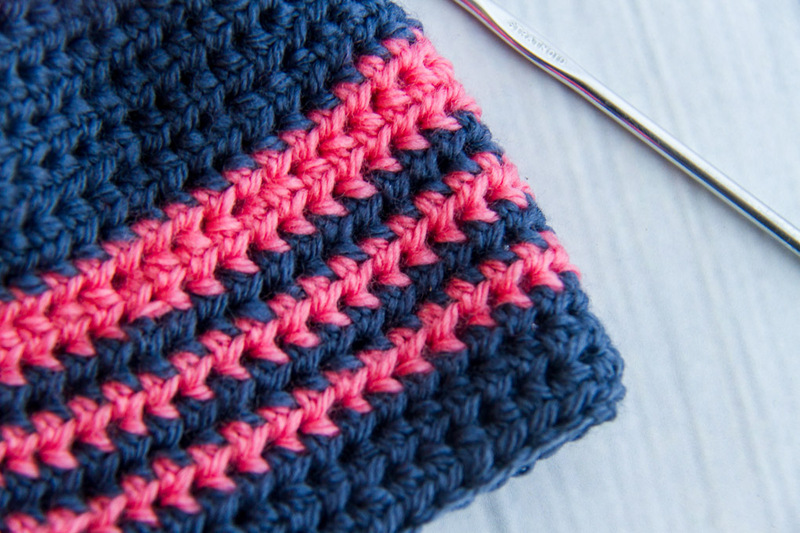 I just love the colours – the blue and pink just look good together. You may have picked up that I am partial to bright colours. The kids, seeing my new talent, have put in orders for their own beanies. Guess I’ll be refining my pattern over the next few weeks, and making a few more up. 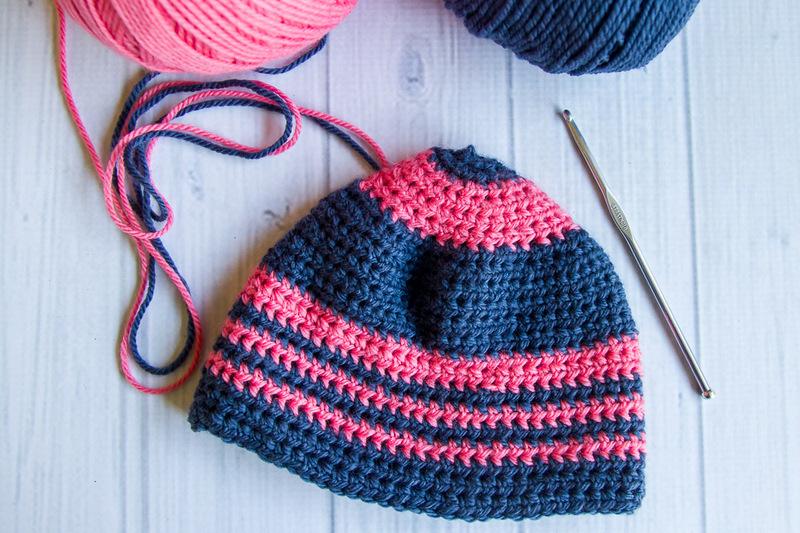 Got a good, easy to follow beanie pattern? 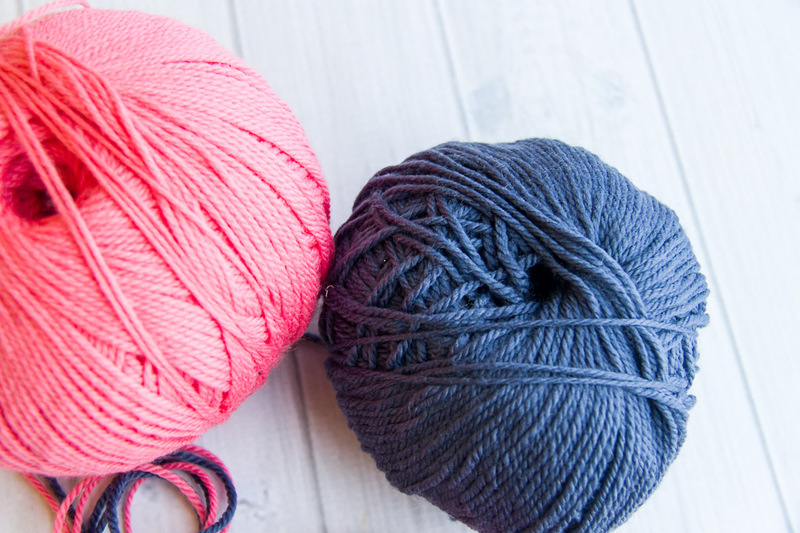 What else is easy to crochet? I’m up for a (little) challenge.